It is local and we always try to go to local stores, coffee shops and hotels. Step outside and you are at the beach. Walk down the street to the local Sea Quake Brewery for fabulous food and beer and there is no need for anything else! Both hotel and Brewery are dog friendly, which is 5 stars in our book! Unbelievable sunsets from the back patio as well! Bar far the best was the courtyard. So inviting, heated well and so spacious! Where to find Eureka hotels near an airport? Where can I find hotels in Eureka that are near tourist attractions? 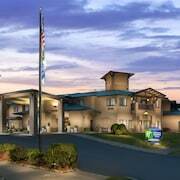 Searching for the best hotel options in Eureka? Expedia's extensive database lists 19 hotels within 0.1 kilometres (0.06 miles) of central Eureka. 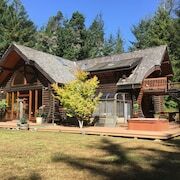 A key to stress-free traveling is finding a convenient location to base yourself, so be sure to check out the latest deals at the Carter House Inns and Best Western Plus Humboldt Bay Inn, all of which are located within 1 kilometre (0.6 miles) of Eureka's downtown area. Arcata is a popular accommodation neighborhood. Arcata is 10 kilometres (6 miles) from the heart of Eureka and offers 8 hotels. 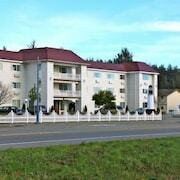 Some choices in Arcata are the Hampton Inn & Suites Arcata and Best Western Arcata Inn. Fortuna, Ferndale and Trinidad also have Eureka hotels that travelers can book on Expedia's database. If you book accommodation in Fortuna, you can make your choice from the Best Western Country Inn and Comfort Inn & Suites Redwood Country. While those who prefer to base themselves in Ferndale, can choose between the Gingerbread Mansion Inn and Redwood Suites. 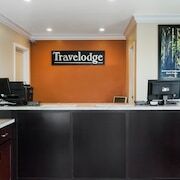 The Trinidad area, which is 40 kilometres (24 miles) from the center of Eureka, has a selection of hotels including the Rodeway Inn Emerald Forest of Trinidad and View Crest Lodge. Eureka features a number of budget accommodation options that will be sure to satisfy thrifty vacationers and travelers. The Eureka Inn is 0.4 kilometres (0.2 miles) from the heart of Eureka, while the Super 8 Fortuna is 25 kilometres (15 miles) away. 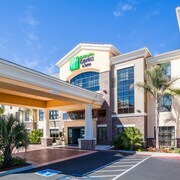 Other budget accommodation options include the Quality Inn and the The Redwood Fortuna Riverwalk Hotel. 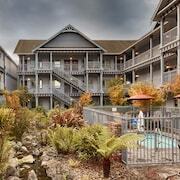 The Clarion Hotel By Humboldt Bay is located 2 kilometres (1 mile) away from the middle of Eureka. 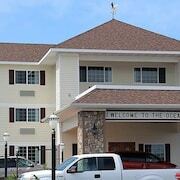 Another alternative is the Best Western Plus Bayshore Inn, which is positioned 4 kilometres (2 miles) away. Two more options are the Red Lion Hotel Eureka and the Comfort Inn Eureka. Like to go a bit further afield? Northern California has a number of things to see. Spend time at Northern California's art museums, art galleries and street art and also admire the region's mountains and valleys. Adventurous travelers may also try their hand at snowboarding, skiing and cross-country skiing in this part of United States of America. 25 kilometres (16 miles) from Eureka you'll find Ferndale Main Street Historic District, where you can visit Golden Gate Mercantile and The Blacksmith Shop. Should you wish to visit Ferndale Main Street Historic District, check Expedia's booking pages for the latest deals at the The Shaw House Inn and Ye Olde Danish Inn. 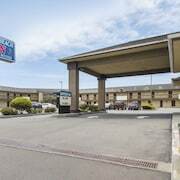 Or, you could consider staying in Old Town Eureka, 0.4 kilometres (0.2 miles) to the northeast of Eureka, where you can pick from the Quality Inn Eureka - Redwoods Area and Super 8 Eureka. The Clarke Historical Museum and Carson Mansion are popular sites to experience in Old Town Eureka. Why don't you check out Expedia's Eureka travel guide and explore the nurmerous things this area offers. What are the most popular Eureka hotels? Are there hotels in other cities near Eureka? 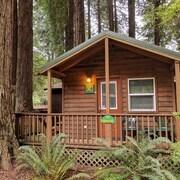 What other types of accommodations are available in Eureka? Explore Eureka with Expedia.ca’s Travel Guides to find the best flights, cars, holiday packages and more!